The police open a terrorist act probe. 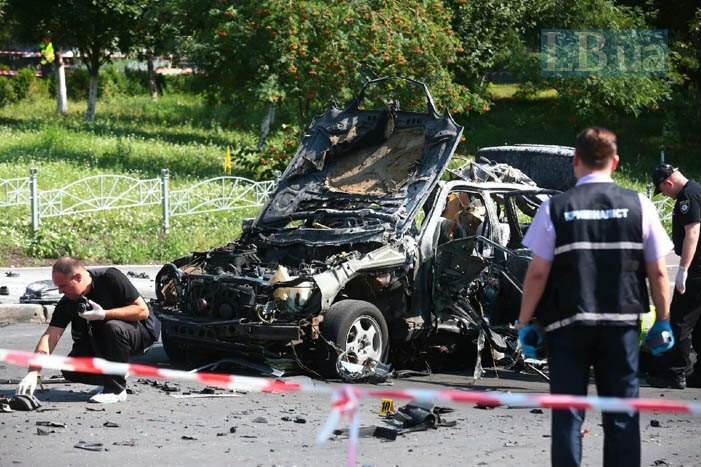 A Mercedes car exploded on Kyiv's Solomyanska St on Tuesday morning, 27 June. "The victim of the explosion was is a military officer born in 1978," police said. Parts of the car got scattered around the perimeter of 100 meters and hit other cars. "The investigative and operational group is working on the site. The prosecutor's office will determine the jurisdiction of this investigation, most likely in favour of the military prosecutor's office.